Dacromet characteristics and surface treatment process _ Industry knowledge _ Xinxiang City Tsui Court Auto Parts Co., Ltd.
We use a wide variety of technologies in our daily production activities, which are very helpful to our production. Dacromet adhesion and coating performance is good: dacromet coating and metal matrix with good adhesion, and with other additional coating has a strong adhesion, the treated parts easy to spray coloring, dacromet and organic Coating even more than the adhesion of phosphate coating. 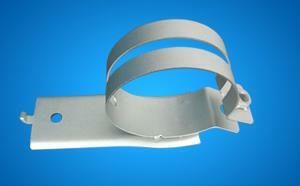 Dacromet high heat resistance: Dacromet can withstand high temperature corrosion, heat temperature up to 300 ℃ or more. The traditional galvanizing process, when the temperature reaches 100 ℃, it has been scrapped. Dacromet pollution and pollution: Dacromet in the production process and workpiece coating of the entire process, will not produce pollution of the waste water and waste gas, waste treatment without three, reducing processing costs. Environmentally friendly metal surface coating after 300 ℃ high temperature barbecue for a certain period of time, so that the hexavalent chromium was reduced to trivalent chromium to form amorphous composite chromate compounds. The chromate is only about 0.2μm thick piece of zinc passivation. Treated zinc sheet conductivity is moderate. A piece of zinc sheet layers stacked on top of each other overlap, forming a multi-level shielding layer. Passivated zinc sheets are in controlled anode sacrificial protection. Such a mechanical shield, the corrosion current line greatly extended, thereby delaying the rate of corrosion of zinc, which has excellent anti-corrosion effect. The above is for everyone to introduce the combination of Dacromet process and recoating performance, and Dacromet high heat resistance, I hope everyone through this content, have more understanding.